Southern Africa’s landlocked country of Botswana is home to out-of-this-world national parks, rare cave art, and historic landmarks that ensure the country has something to offer for everyone. 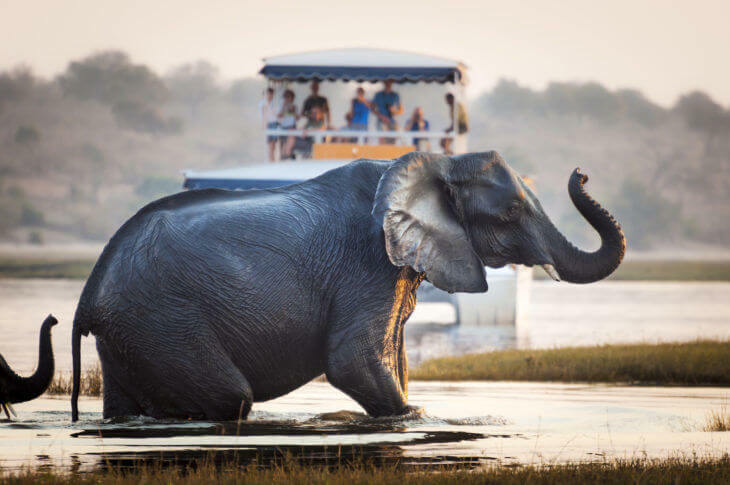 If you’re thinking of taking an African vacation to Botswana, we’d highly recommend it, but there are a few myths that we’d like to dispel. It’s expensive to fly to Botswana, but it can definitely be done with proper planning. The most expensive component is the airline tickets. Make sure to give yourself plenty of time to shop around, and buy the tickets well in advance (at least 3 months) or your travel date in order to minimize the cost. Once the tickets are out of the way, Botswana is actually a very affordable place to visit. Just make sure you stick to your budget, and you’ll definitely be able to take in all this country has to offer. Many people have heard stories about travelers getting sick from the drinking water in Africa. Of course, it really depends on where you are, but Botswana is generally pretty safe. If you’re in a city such as Maun, than you’ll be getting clean water just like you would in any other major city. The problem most people have is on safaris, where the water often comes from local rivers that may not have been treated. If you’re planning on doing a safari, just make sure to bring bottled water. As with everything else, plan accordingly and you’ll have a great, problem free trip. Another fear that often scares people away from African countries is fear of corrupt police and politicians. It’s certainly true that there are areas of Africa where corruption is more common, but Botswana is a very stable republic, and you most likely won’t run into any more problems than you would in a Western country. As always, take common sense precautions, trust your guides, and do your research, and everything will be fine. You’ll have an amazing time, with nothing to worry about! Myth 4: It’s too hot! Of the myths and misconceptions we hear about Africa, by far the most common is that it’s just too hot. Africa is a huge continent, and the weather varies significantly, depending on where you are, and when you’re there. Due to Botswana’s southern location, it has a very full range of weather, from freezing cold in June, July and August, to over 100 degrees in October. If you’re looking for the best time to go, we’d recommend checking out travel options in April and May, when temperatures are usually moderate, and make for great outdoors weather, giving you the most options. We hope this cleared up some misconceptions you might have had. Going to Botswana is a great travel idea, and you’re sure to leave with tons of stories, adventures, and memories that you’ll always cherish. Make sure to plan ahead, and you won’t regret your decision. We highly recommend Botswana, and hope you love it as much as we do.